At the Sacred Heart Center in Manchester, adult students receive one-on-one tutoring in the literacy program. Clearing the hurdles of communication goes a long way toward helping Latinx families thrive in the Richmond community. The Sacred Heart Center is accepting donations of pre-loved stuffed animals and toys for the kids served in its family programming services. Gently used, clean stuffed animals or dolls and 1-piece small toys (like cars and action figures) are welcome. We are also in need of winter clothing for the whole family, especially children, and feminine care products, especially small pads for the girls in its teen programs. Drop off donations Monday through Friday, nine o’clock until seven in the evening, at 1400 Perry Street. For more information about the Sacred Heart Center, please visit shcrichmond.org or call 804-230-4399. 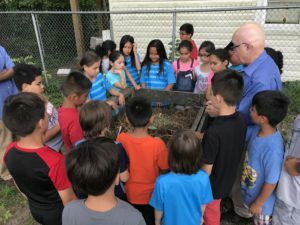 Father Jack teaching kids about composting at the Sacred Heart Center. helped Ana become more confident speaking English in everyday life. Tasks like shopping for groceries, visiting the doctor, and communicating with Allison’s teachers weren’t as stressful. Allison’s experience was even more impactful. Before coming to the Sacred Heart Center, the preschooler hadn’t had much contact with other children, and she didn’t know the alphabet or colors. Once she enrolled in the morning program, she made friends. Her mom said Allison counted the days until she would go to her class. After moving on to Head Start at her local elementary school, Allison continued to visit the Sacred Heart Center, and Ana says the teachers helped her daughter enjoy and appreciate learning. The Sacred Heart Center, a community center in Manchester that was founded in 1990, is one of the few organizations in the Richmond area dedicated to serving the Latino population. In fiscal year 2015-2016, the Sacred Heart Center enrolled 500-plus students in core educational programs and served more than 6,400 community members through various partnerships with service providers. Its mission is to create a hub for the Latino community in the Metro Richmond area that opens pathways to social and economic integration, family success, and community leadership. 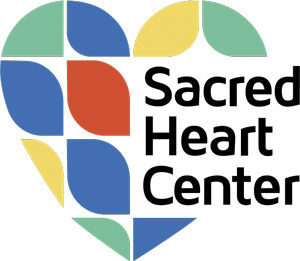 The Sacred Heart Center offers core educational programs for children and adults, as well as a variety of health and human services through partnerships with area organizations such as the Bon Secours Care-A-Van, Bainbridge Food Ministries, United Way, and others. 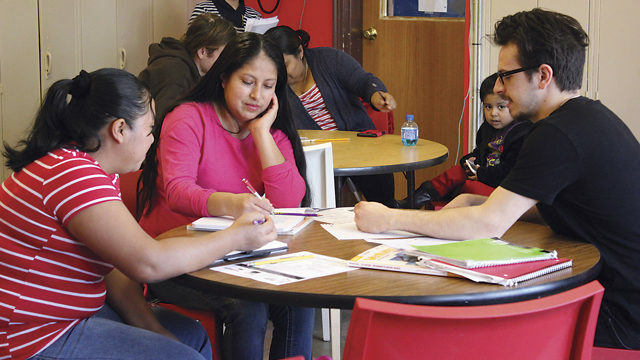 The core educational programs for the Latino community throughout RVA include ESOL classes, GED preparation in Spanish, citizenship classes, basic Spanish language literacy, introductory computer classes, and parenting classes in Spanish. For children, the Sacred Heart Center offers a Latino leadership program, a college and careers program, summer camp programs, and a school-readiness program for children under five. According to Gonzalez, the Sacred Heart Center is a trusted organization that has become a community hub in Richmond. This is evidenced by the fact that many nonprofit partners work with the facility to provide services such as food assistance, medical care, mental health counseling, academic and training programs, consular identification services, legal assistance, and tax assistance to families and individuals. As for Ana, she is committed to building her own skills in the RVA community. She is enrolled in the Sacred Heart Center’s GED preparatory classes and becoming more proficient in English through ESOL classes. Her goal is to finish her GED and to enroll in a dental assistant program. Previous articleWow! It’s September, Readers!